Hola!!! How goes it? Woke up this morning on time again, and read scriptures, said prayers, got kids to the bus, and hung with Jim for a while. At around 8:30am, I got out of bed, and started making cream puffs. Cause I got a new icing gun yesterday, and it filled things too. And I wanted to play. And I wanted some treats for the bus driver. hehe. Gotta keep the guy happy who picks up and drops off your kid (especially if you're frequently late!). Anyway, they turned out GREAT! Who knew they were relatively simple to make?? My recipe made about 2 dozen. And I whipped up some chocolate pudding, filled the icing gun, grabbed my supplies, and headed to Maggie's house. Her hubby and her son (turning 5) and her daughter (turning 3) all have the SAME birthday. Crazy, huh? They're celebrating in Disneyland this year, and she wanted "Birthday Girl/Boy/Dad" Shirts, and I said that I'd help her design them. Fun, huh??? Anyway, I got there around 10am, and we started working on them. And filled the cream puffs, and we hurried the kids off to the bus. The bus driver LOVED the cream puffs, by the way. hehe. I totally should have taken pictures.... Next time. Cause I'm definitely making them again. Kari met me at the bus stop, and she and I headed out to Yoga. We got there about 15 minutes late, and it wasn't there! Whaaaaat? So we drove back to main post, and swung by Stout gym. Yeah, it's been moved back there, but is canceled for the next 3 weeks. Good to know, right? Sigh. We got a schedule for the next month, and decided to move hiking to noon on Friday, and try a Pilates class on Thursday at 9am. Should be a good time. Never done Pilates before! Kari dropped me back off at my house, and I decided to take a shower and fix myself up. It'd been a few days ,and I needed it. hehe. Maggie and I bought some fake tan lotion the other day, and I applied coat #2 today. hehe. I think it's working. And not in a yellow/orange way. ROFL! I totally wanted a picture with Boxer and I, and the close I put my face to his, the more he tried to lick me. ROFL! But, eventually, I had to. I put on my new cute black shoes, and headed to the bus to get Jim. Singing all the way, of course. We got the Phineas and Ferb soundtrack, and have been SINGING non stop. hehe. Jim and I headed to Big Lots to see if they had anything I couldn't live without. Turns out they didn't. hehe. Jim had fun playing on this outside toy, though. Nope, I didn't give up my quarters. LOL. We came home, and had an hour before the other kids got home from school. I watched some more Flash Forward, and Jim played Wii. After the other kids got home, I helped Joe with his homework, Tom read his book (Holes, I think), Eme played on computer, and Jim played in the front yard. I baked some Apple Monkey Bread for the kids for snack (yeah, I ate WAY too much of it... so much for the diet today...), and at 5pm, we headed out for Evening Activities. First stop, Tom's baseball. We dropped him off at George Moore Ball fields, and drove over to Logan Balll fields to drop of Joe. Then, we headed to the Dollar Tree. We grabbed some bread and some snacks, then headed to Little Cesears for 2 of the $5 pizzas. Then headed to the Youth Center to pick up Jake. Then back to Logan Ball Fields to get Joe (he's JUST got done), then to George Moore to pick up Tom (he had to wait for a few minutes), then to the church for Scouts. We got there with 15 minutes to spare, so we sat in the grass and had a picnic. Nice family dinner, right? hehe. Jake and Tom went to Scouts, and the other kids and I hung in the lobby. Jim and I had fun taking pictures of ourselves. The little boys ran around and played with the other younger siblings, and I chatted with one of the ladies. It was an enjoyable evening. After exercise in the morning, the girls and I are going to Hobby Lobby to grab some feathers for our hats. And I'm sure that some type of lunch will be involved. Always a good time! ove if you like my work. thanks! Thank you so much for this post. 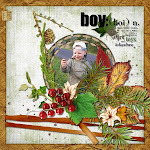 I want to let you know that I posted a link to your blog in CBH Digital Scrapbooking Freebies, under the Page 7 post on May. 12, 2011. Thanks again. LOVE LOVE LOVE this WA!!! 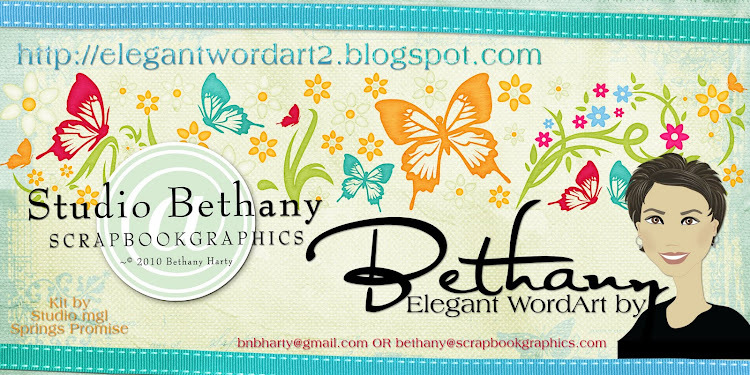 You are so kind and generous to do this for us every single day, thanks so very much Bethany! Those shoes are so cute! The pic of Boxer trying to lick your face is hilarious. I am glad you are feeling better. Thanks for the awesome WA! Thank you so much for this post. I want to let you know that I posted a link to your blog in CBH Digital Scrapbooking Freebies, under the Page 13 post on May. 14, 2011. Thanks again.